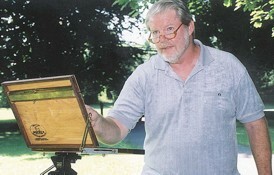 One of south-east Pennsylvania's favorite artists, Paul Scarborough's body of work covers many decades and earned praise from art lovers and critics alike. Paul's work depicts some of his favorite haunts in Chester and Delaware Counties, Bowers and Rehoboth Beaches, DE in all seasons of the year. Paul's work is available Giclée and open printed editions. People who know Paul's work look for the signature cardinal that’s lurking somewhere in the background. Selected works are also available at Barbara Moore Fine Art (barbaramoorefineart.com).